That's great! Isn't it funny how kids can find some of the simplest things to play with? 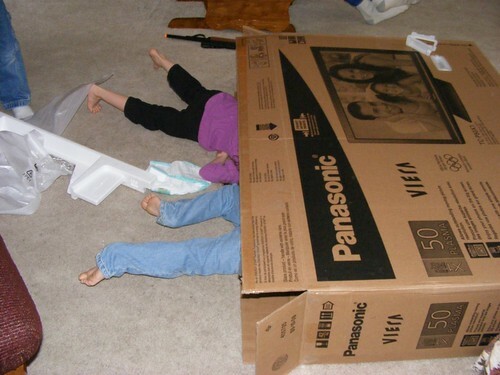 Boxes are so much fun for kids, and yet we spend all that money on gifts every year!! Go figure!